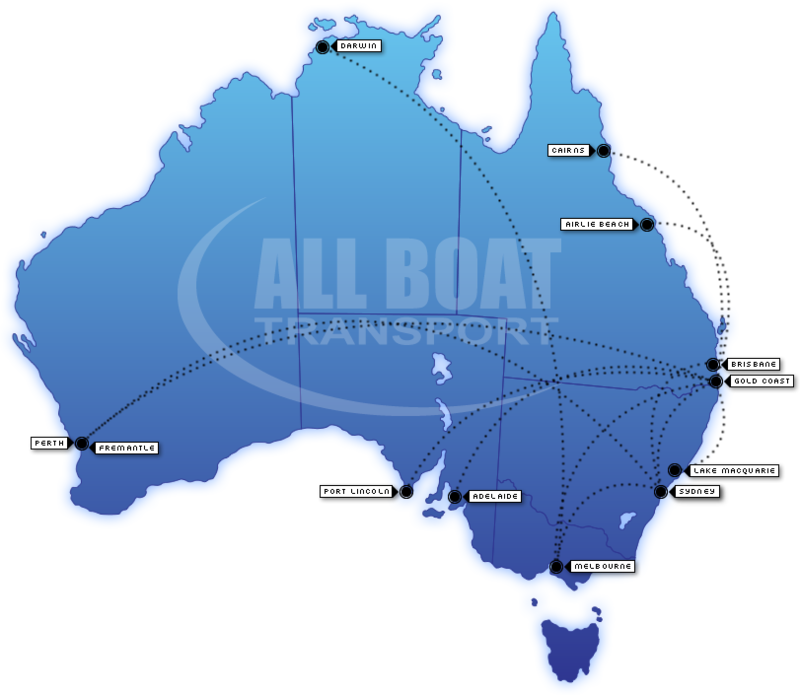 Australia’s Premier Interstate Boat Carriers, Established Over 30 Years. Greg and Vicki Mutton, the original founders of All Boat Transport, are still the principals of the company. They, and their staff of drivers, are happy to continue to service the marine industry into the future. For most boats, the costs of relocating your boat by road, when all aspects are considered, are much less expensive than any other form of transport, e.g. shipping or water delivery. Road transport of boats is now the accepted way of getting your boat to where you want it – no large fuel costs, no wear and tear, no extra engine hours, no breakdowns mid-ocean, virtually no delays from bad weather. Allboat Transport uses equipment which is specially designed for carrying various types and sizes of vessels. All Boat Transport was the original boat carrier for Riviera Marine on the Gold Coast and is still carrying boats for Riviera’s Australian dealers today. However, we are happy to transport pretty much anywhere within Australia – and we move locally as well! We don't expect you to know all about Boat Transport - That's what we're here for!